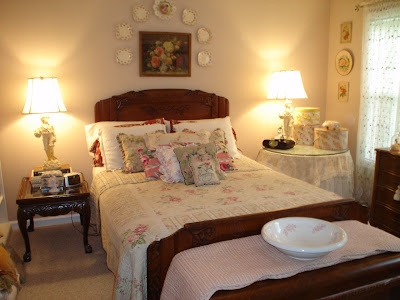 I just had to post and tell you to visit Elizabeth's blog (of Elizabeth House) and see her most wonderful glimpse into an upcoming issue of Romantic Homes! She has a feature in the June issue and it looks to be amazing! Look at her blog here! A lovely old framed photograph, all in those wonderful sepia tones. 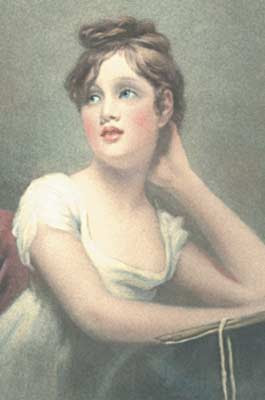 Also a small painting with the same colors. 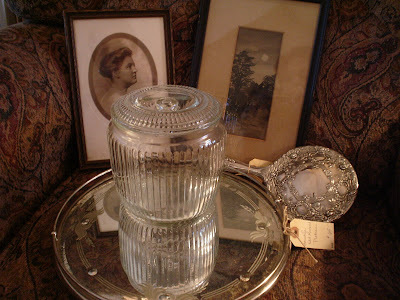 A neat biscuit jar, old hand mirror and a gorgeous antique mirrored plateau! 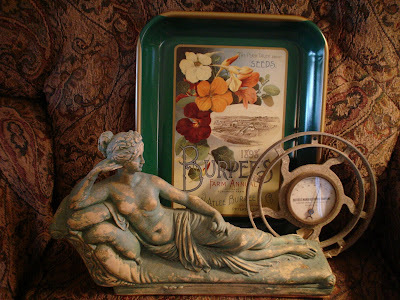 A not-so-old Burpee Seed tray, a beautiful statue of a lady and an old advertising thermometer for our garden section. 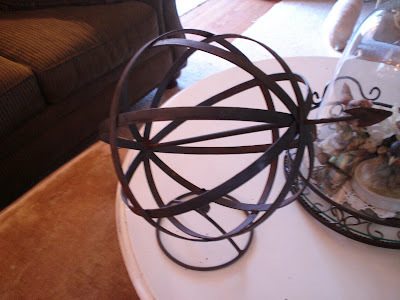 An amazing Victorian photo album, and a sphere thing, what are these things called? I'm really pleased with everything we found and just hope they just fly out of the store! 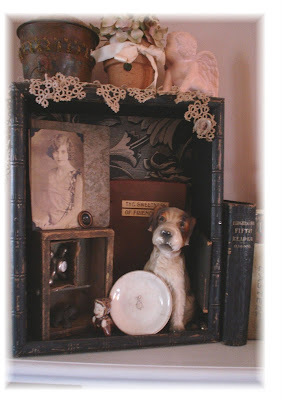 This is a little assemblage I made this past week while I was off and I really enjoyed making it. It is my Ode to Spring! 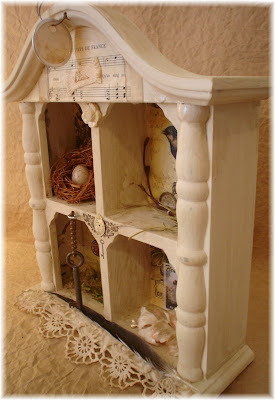 I've used an old key, vintage millinery flowers & lace, I made the little nest and inserted a speckled egg, beautiful music from a french book, twigs and a real feather! It's for sale in my Etsy shop. 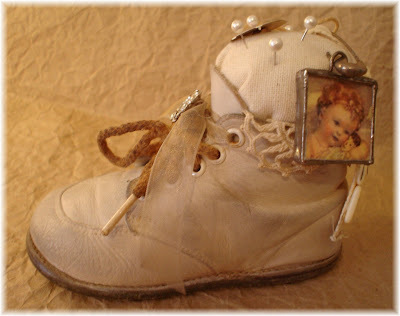 And this sweet baby shoe has been jazzed up with a pin cushion, vintage button, an old Snow White watch face, an old safety pin holding a charm I made with a little Besse Pease picture inside. It's for sale also in the Etsy shop! You don't know how addicted you are to your computer until it blows up!! 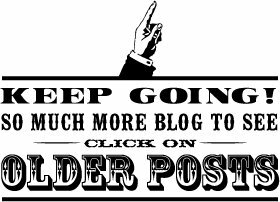 I so enjoy looking at everyone's wonderful blogs while drinking my morning coffee. It's like taking a little peek into so many people's lives across the country and the world! 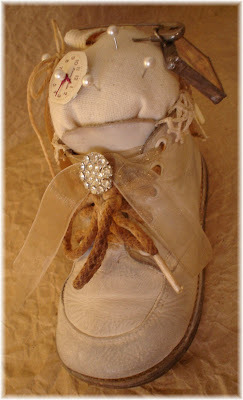 Oh, and checking my e-mail, I love to do that and last but certainly not least, working on our store's blog every week! 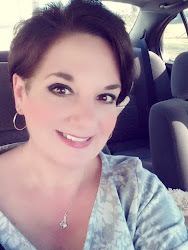 Cindy did a great job on the blog, it was beautiful so I can't complain there at all. 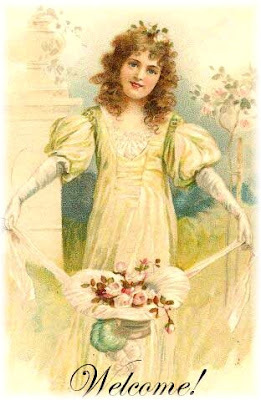 We just want to stay in touch with our customers and show them all our new finds. Well, I have a little news, I have an Etsy shop! I love making things and figured it would be another great outlet to sell handmade things. So many great artists sell their wares on the Etsy site. Just click my link to the right and take a look. Well, he's really kind of grumpy but sweet to us. Chester and his sister, Thelma are Devon Rex cats. This particular breed is a little easier on us that have cat allergies. I had researched this on the internet and found a wonderful breeder in Augusta, GA and ended up buying Chester in 2001 and Thelma in 2004. 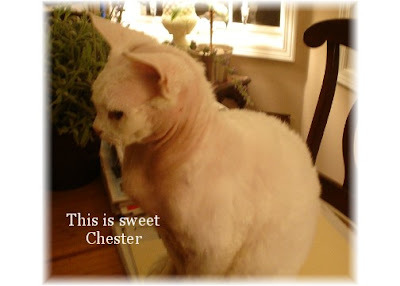 Here's a photo of Chester, his coat is somewhat not characteristic of the Devon Rex and we were able to buy him for a discount! 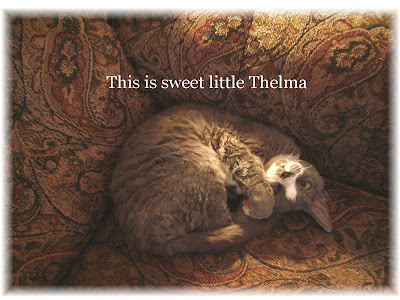 Thelma's fur looks like a true Devon. We love them both dearly and they truly are members of the family. 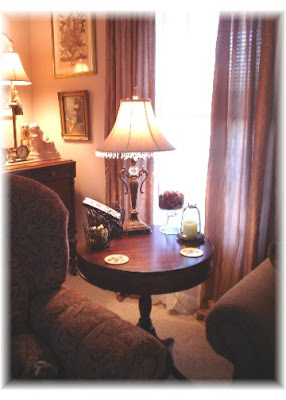 Corners of my home . 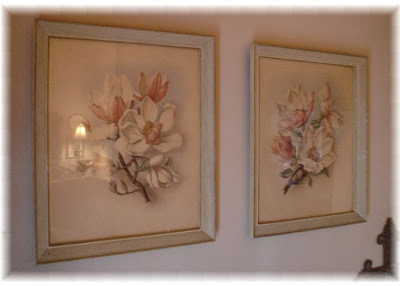 . .
A couple of very old prints that I love, sorry about the reflection! 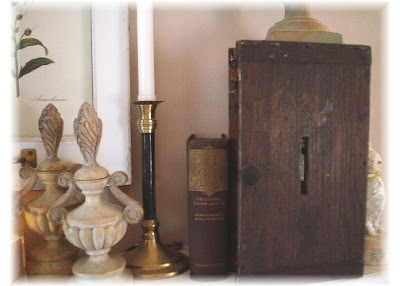 This is an old ballot box that I found while shopping the world's longest yard sale last year! 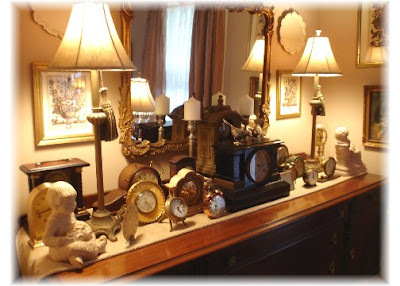 I decided to take a few photos of my clock collection which is all displayed on an antique buffet. You can't really see the buffet, though. 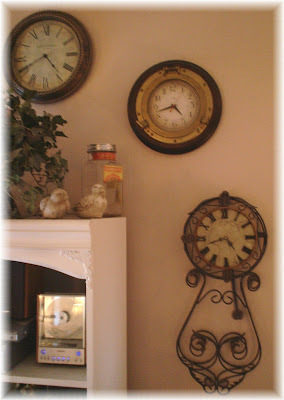 I've loved clocks for a long time and how funny that my partner Cindy loves them too! 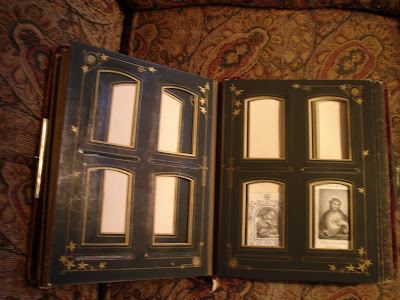 Pictured in one of the photos is a small statue of a little girl laying her head down and I have always just loved her. My brother and his wife gave her to me one Christmas. I need to play with my clock display more and have different heights but just haven't yet. I used to be so structured with my decorating but have tried to loosen up a little and just display the things I love, even if they're not all matched up. 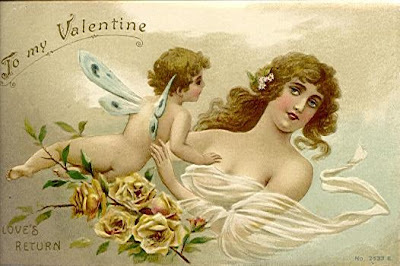 Wishing You Love on Valentines Day! I truly love to sew. I don't do enough of it as I tend to punish myself by saving it for last after all my chores are done (laundry, etc.) I don't know why I do this to myself because I enjoy it so much. How cool is it to have just a pile of fabric and a little while later have a neat pillow or purse that's a one-of-a-kind creation! I thought I'd feature a few of my painted pieces that I've finished for the store. 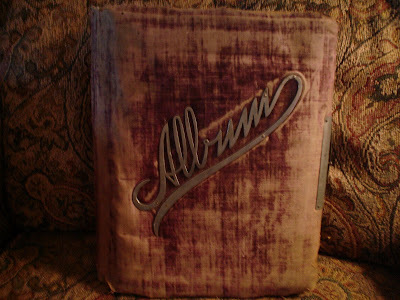 Most have an antiqued finish on them, as I love the old, "I've been used" look. I should do more of the painting but sometimes just have to be in the mood to get going. 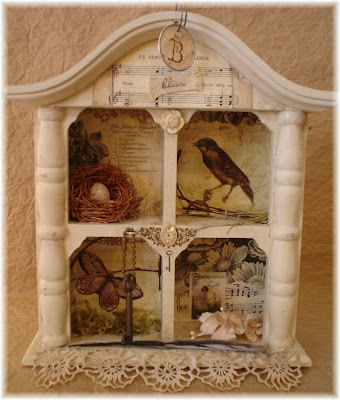 Your home is your nest! 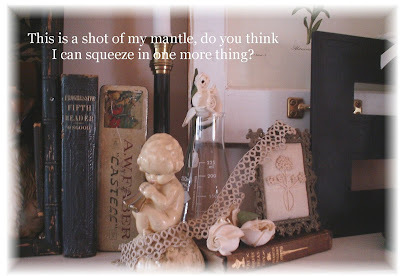 Well, I've been posting a while now for mine and my partner Cindy's store, The Plum Tree (http://www.plumtreeantiques.blogspot.com/), but I've decided it's time for me to have my own blog. 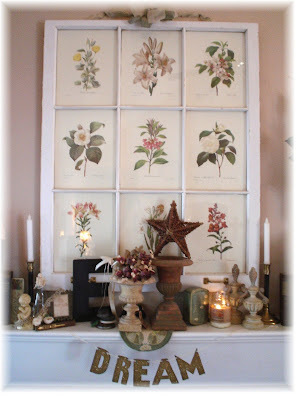 Cindy has started a blog featuring her home and her wonderful collections and it can be found at http://forloveofhome.blogspot.com/. She's such a great friend and I've always loved her taste and her home is amazing! My home is quite an eclectic mix. My style used to be quite traditional, with everything matching and looking like it should in a magazine page. But as my tastes have changed, I love all that is old and wonderful and just display these things so my family and I can enjoy them.